Abstract artist Kay Griffith, born and raised in Texas, paints naturally, exuding passion and energy in every painting. Griffith has sought out technical training — a course on colour and design, basic oil painting and high-level technical training for detailed oil painting. She merges technical training with what she naturally does as an artist to create her own brand of abstract work. Each Griffith abstract is characterised by its own colour palette, rhythms, and textures. She paints with oil paint, wet-into-wet. Palette knives are employed to skilfully manipulate the paint. The result is masterful abstract expressionism. 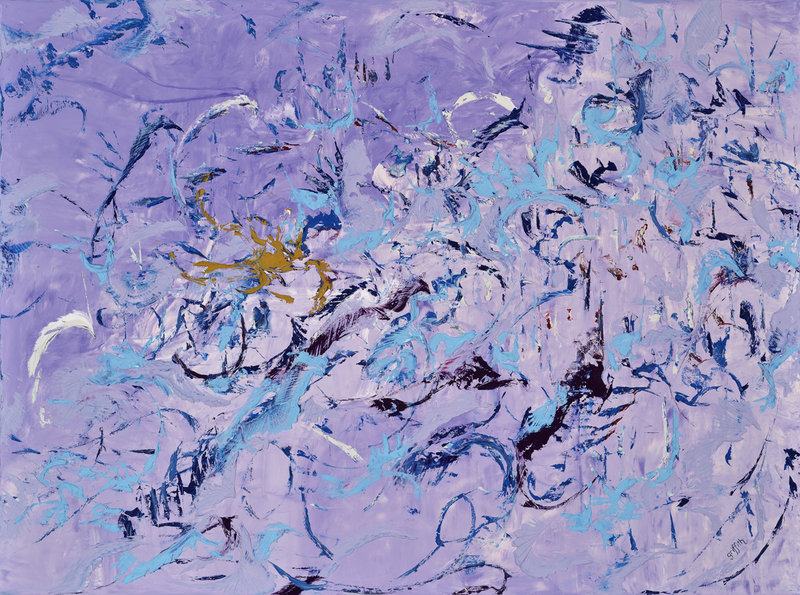 Griffith’s abstracts speak personally to each viewer, often evoking intense emotion, lively discussion and passionate reactions and one cannot expect her abstracts to evoke the same emotion in all viewers. Interpretations are always illusive and her abstracts know no cultural or geographic boundaries; they connect to commonality deep within us. The work has been described as complex, haunting, and exhilarating. Not wanting to direct the interaction between viewer and art, Griffith seldom names a painting beyond an identifying number. She insists that the viewer’s interaction with the paintings is far more important than her relationship to the art. Griffith has shown in the U.S.A., Europe and Canada. In 2014 Griffith showed in the Art en Capital exhibition at the Grand Palais in Paris, France. She was one of 29 international artists invited to participate in the event in conjunction with the Independent Artist Association of France. Griffith was chosen to represent the U.S.A. at the 2015 Art of The Americas Exhibition held in Toronto, Canada during the Pan Am Games and in 2017, Art Tour International Magazine named her as one of the Top 60 Contemporary Masters in the world.